When I ask people what it would take to make them happy, sometimes I hear things like: a new car, a bigger home, being thin, being drug-free, fabulous boy/girlfriend, extensive tattoos, the freedom to buy what they want, when they want it. I suspect the truth lies somewhere deeper. When we ask ourselves how those various things would make us feel when we get them, we get to the root of it. Usually the answers are things like: feeling secure, appreciated, respected, confident, connected, loved, and content. In our minds (thanks to marketing and other whacky aspects of our culture) we’ve connected the thing with the feeling. In fact, to get to the feeling state of what we want is simple. Just feel it. Close your eyes and imagine feeling the security, the respect, the appreciation, the peace. Imagine how you would feel in a healthy body, in a new home, with a replica of the Garden of Eden tattooed on your thigh. Allow yourself to dwell in this feeling state until it is oozing from your pores. Next ask yourself, “If this is how I want to feel, what thoughts will keep this feeling alive for me?” Recall, whatever thoughts or stories you are carrying around in your head—the thoughts you are choosing to ‘buy’—will generate your feelings. 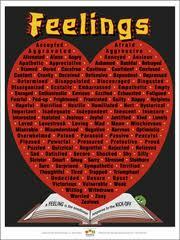 Finally, recognize that your actions are driven by your feelings. If you are dwelling in a feeling state of peace and contentment, how will your choices be different than if you were bathed in stress and angst? Finding your own truth is an incredible journey. You have every tool you need right now to begin!